A hard-to-find signature classic among celebs and royalty – the camel hair overcoat. The Marcella double-faced overcoat is made with dual layers of heavyweight camel hair fabric entirely stitched together by hand, offering an unmatched combination of warmth, softness and lightness. 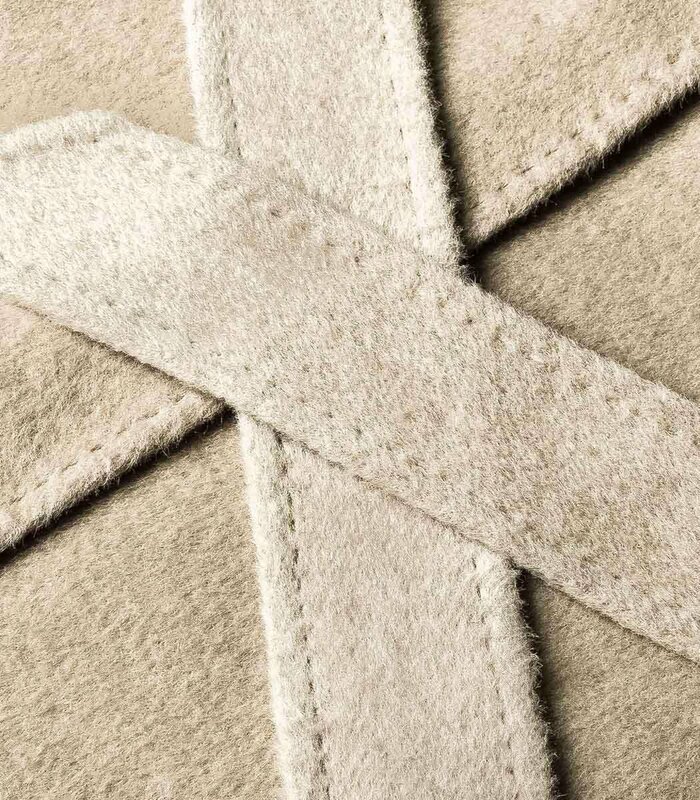 Blended with the finest Australian lambswool for a luxurious combination of softness and durability for years to come. Classic wraparound overcoat with removable belt. Double hidden side pockets at the waist. Hand-stitched double-faced camel hair fabric. Slightly oversized silhouette. Hits below the knee. With origins dating back to the Silk Road, camel hair has long been celebrated by kings and royalty for it's remarkable warmth and lightness. Ravella Camel Hair is made with only the purest inner downwool, which is finer and softer than a camel's course outer hair. The soft camel innerwool is combined with a 50 percent blend of superfine Australian lambswool to create the perfect fabric for a winter overcoat: unparalleled warmth with minimum weight, and lasting durability to withstand wear. Camel hair coats are considered to be most desired winter overcoats because of their warmth and beautifully structured appearance. 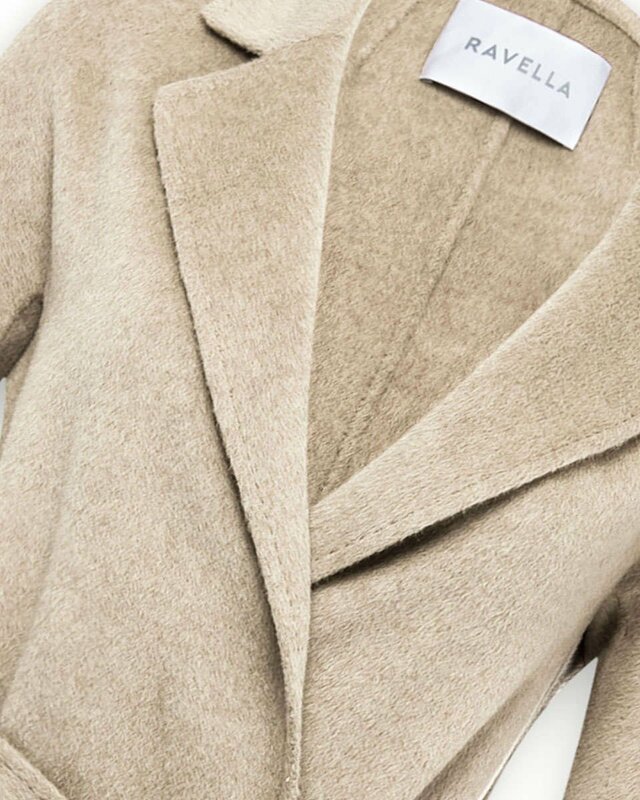 The pure camel hair innerwool used in the Marcella overcoat is unmatched in warmth, softness and durability when combined with the finest Australian lambswool. Heralded for centuries as a fabric fit for kings, camel hair is now an elegant winter classic for celebrities and modern royalty alike. Every one of our coats is stitched entirely by hand in order to achieve a double-faced finish. Two layers of finished camel hair fabric are intricately sewn together to form a dual-layer fabric that is as soft and warm on the inside as it is on the outside. No synthetic linings - just pure goodness. Double the fabric, twice the warmth. Widely considered as the best fabric for an elegant winter overcoat, camel hair offers something no other natural fabric can - an unmatched combination of warmth, ligthness and softness, without the cumbersome weight. Many consider the thick insulation of camel hair coats to be superior even to cashmere when it comes to staying warm in the most frigid winter weather. It's why you'll find some of the most iconic coats on the market today are made with camel hair.